Have you always experienced getting stressed out because of seeing your room or office cluttered and disorganized? Well, Marie Kondo’s approach on decluttering might as well work for you. It is mentioned in her NY Times bestseller book, “The Life Changing Magic of Tidying Up” all the necessary tips on how to get your room, home or workplace well organized that will surely make a positive impact in your life and in your career. Marie Kondo’s book will provide you a glimpse of how the tidying session will transform your life and yourself especially in terms of productivity. It all comes down to the big question, “Does your stuff spark joy?” In Marie’s point of view, if that particular stuff does not bring happiness to you, you should then dispose of it, sell or donate it. Moreover, her simple strategy which she called KonMari method can really make a difference in your life. How Does the KonMari Method Work? Clean by category and not by rooms. Some people make the mistake of organizing the rooms first, then the living room and so on. Contrary to that belief, Marie Kondo advises that decluttering should be done in order where clothes should be the first because it is less emotionally loaded of one’s things so it is easier to get rid of; then books, papers, mementos (like the cherished photos and love letters) and miscellaneous should come next. Tidy in one fell swoop than tidying little by little. 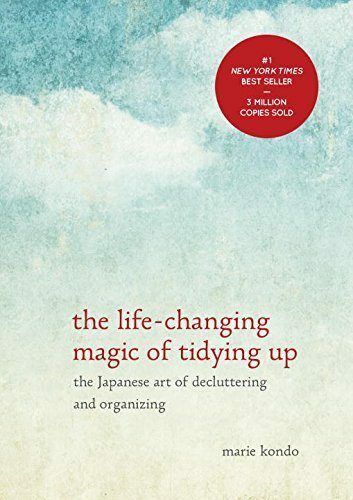 According to Kondo, “Tidy a little a day and you’ll be tidying forever.” Cleaning all at once instead of sorting tasks halfway will suit your mindset better. Ask yourself if that thing still gives you happiness. If that particular thing doesn’t spark joy, it is just fair to give it to someone who needs it or maybe put it in a garage sale or just dispose of it all together. The “Folding” Process. KonMari technique is a total makeover of your things. Marie encourages that it is better to fold clothes and put them in the dresser vertically rather than hang them as it will require lesser space. Socks should be stored beautifully like sushi rolls so they can “rest”. She also recommends that shoeboxes should be used as drawer dividers for folded clothes in the dresser. Don’t let your family members see what you’re doing. Marie recommends that you should not let your family members nearby while you’re decluttering because they might prevent you from getting rid of things so much. They might also get your old things and use it for their own. While this might not be a bad idea, however, those things might not be that useful to them. Furthermore, according to Kondo, it is quite stressful for parents to see what their child is getting rid of. It can also be painful if they see their child disposing the things they gave before such as clothes, toys, and mementos. Do not keep unnecessary things. Don’t ever think that you can’t dispose of worn, frayed shirts because they can still be worn as a sleepwear. In addition, do dispose of books that haven’t had much value to you. Gifts should not be kept if it’s not useful anymore. People usually get sentimental and keep a specific thing given to them as a present rather than disposing or giving it to someone who needs it more in the present. Kondo, on the other hand, encourages people not to be guilty as it already served its purpose. It is time to share it with someone who need it as well. Scan the important documents. Kondo suggests that papers or documents should be scanned rather than piled. This is quite useful if you are working in a cluttered office full of papers and documents stacked. Being organized and tidy makes you feel more powerful and in control of your life. Seeing that your things are organized will also make you feel much more comfortable with your life, living in an organized home. 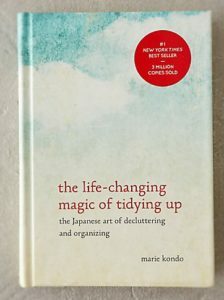 Kondo’s teachings are not the usual because of the spiritual practices it presents in the possessions and in the home itself, yet her KonMari Method might as well make a huge difference and can be life-changing.